Scientists have identified an ingeniously elegant brain circuit consisting of just five nerve cells that allows female crickets to automatically identify the chirps of males from the same species through the rhythmic pulses hidden within the mating call. The circuit uses a time delay mechanism to match the gaps between pulses in a species-specific chirp - gaps of just few milliseconds. The circuit delays a pulse by the exact between-pulse gap, so that, if it coincides with the next pulse coming in, the same species signal is confirmed. It's one of the first times a brain circuit consisting of individual neurons that identifies an acoustic rhythm has been characterised. The results are reported were reported online on September 11, 2015 in the journal Science Advances. The article is titled “An Auditory Feature Detection Circuit for Sound Pattern Recognition.” Using tiny electrodes, scientists from Cambridge University's Department of Zoology explored the brain of female crickets for individual auditory neurons responding to digitally-manipulated cricket chirps (even a relatively simple organism such as a cricket still has a brain containing up to a million neurons). Once located, the nerve cells were stained with fluorescent dye. 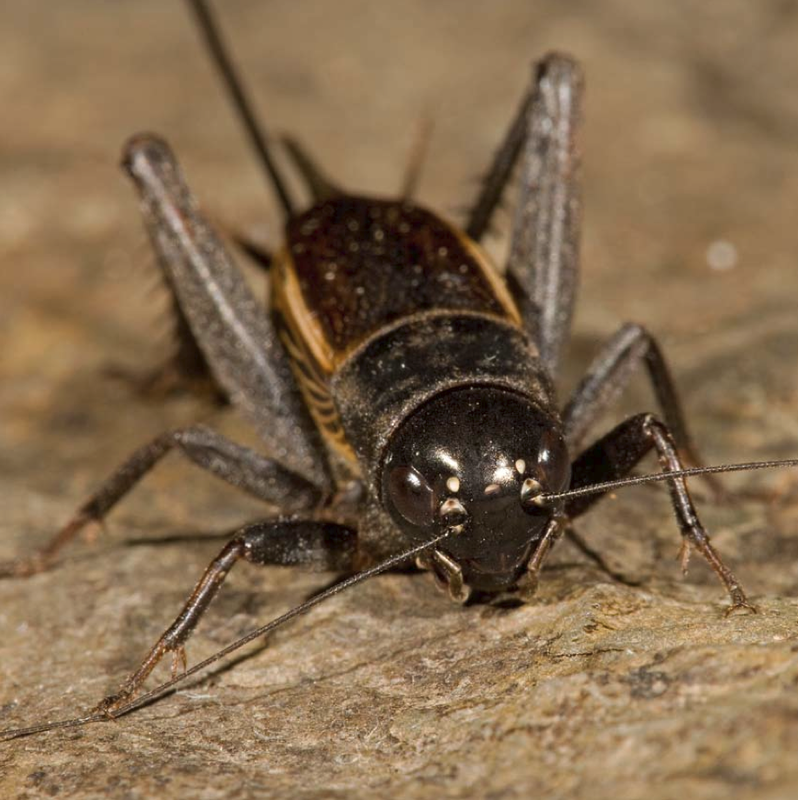 By monitoring how each neuron responded to the sound pulses of the cricket chirps, scientists were able to work out the sequence the neurons fired in, enabling them to unpick the time delay logic of the circuit. Sound processing starts in hearing organs, but the temporal, rhythmic features of sound signals - vital to all acoustic communication from birdsong to spoken language - are processed in the central auditory system of the brain. On September 3, 2015, Exosome Diagnostics, Inc., a Cambridge, Massachusetts-based developer of revolutionary, biofluid-based molecular diagnostics, announced the publication of new data demonstrating the ability of its proprietary, exosome-based technology to isolate and extract highly pure RNA from serum and plasma samples for use in research laboratories. The data, published on August 28, 2015 in PLOS ONE, an international, peer-reviewed, open-access online journal, showed that the Exosome Diagnostics technology platform yielded high-quality exosomal RNA (exoRNA) of equal or higher quantity in a faster timeframe and with more consistent results compared to traditional ultracentrifugation methods, which are labor-intensive and subject to significant variability. The article is titled: “Characterization of RNA from Exosomes and Other Extracellular Vesicles Isolated by a Novel Spin Column-Based Method.” “With the explosive rise in targeted cancer therapy development, exosomes are increasingly utilized as an important source of deriving key molecules for biomarker and companion diagnostics development. Extraction and isolation are the first critical step,” said Johan Skog, Ph.D., Chief Scientific Officer, Exosome Diagnostics. “We are very pleased with these new data as they demonstrate the clear advantages of our novel spin column method versus traditional exosomal RNA extraction methods. Using our technology, researchers can maximize the full potential of this incredibly rich source of nucleic acids to explore and deliver cutting-edge scientific advancements.” A key source of nucleic acids, including RNA, exosomes are vesicular messengers secreted by all living cells and carried throughout the body via biofluids, such as plasma, urine, and cerebrospinal fluid. A new role for the placenta has been revealed by University of Manchester scientists who have identified sites which store, and gradually release, oxygen for newly formed embryos in the weeks after the baby’s heart is developed. The new research reveals how the early placenta solves the problem of supplying oxygen to the growing embryo in the second and third months of pregnancy, as it gradually takes over this role from the yolk sac. The scientists show that as the placenta grows in the first few weeks, small groups of stem cells are formed from which primitive red blood cells arise. These cells are able to gather up and store oxygen under the unusually low concentrations found at the implantation site. Blood vessels gradually grow towards these cell groups, leading to the slow release of oxygen-laden red cells to the embryo and keeping it supplied until more efficient oxygen transfer becomes possible as maternal blood enters the placenta at the end of the third month. Professor John Aplin, from the University’s Institute of Human Development, led the study. He said: “Early embryos are completely dependent on the mother for the supply of oxygen, and to identify the way in which it is taken up and distributed is important for understanding more about these early stages of life. The human placenta has evolved a unique and elegant solution to this problem, in which the process of supplying oxygen is intimately connected with growth of the placenta itself.” It had been believed that the yolk sac contributed the bulk of oxygen at this stage, but recent studies have shown that this gradually decreases in importance as the embryo ages. The heart begins beating at around four weeks, but oxygen is still supplied by the mother. A research group at Umeå University in Sweden, together with researchers in Munich, Germany have identified two enzymes from the pathogenic Legionella bacteria that are very useful in chemically modifying proteins to be used in medical drugs. The result of the study is presented in the August 24, 2015 issue of the chemical journal Angewandte Chemie International Edition. The article is titled “Covalent Protein Labeling by Enzymatic Phsophocholination.” Legionella are “facultative intracellular” bacteria that use specific chemical reactions to overtake the host cell’s labeling strategy and can therefore make the cell into a suitable environment for the bacteria to multiply in. To achieve this, the bacteria pumps out various enzymes in the host cell, which act as chemical catalysts and modify the host cell’s own proteins. This leads to the proteins not being able to perform their normal tasks, and alternatively starting to perform other tasks than they were originally set out to do. Intracellular bacteria are distinct from primarily “extracellular’ bacteria, such as Staph auteus, Vibrio cholera, and Bacillus anthracis that cannot penentrate cells and that proliferate instead in the extracellular environment. One of the bacterial enzymes present in the Legionella bacteria and is called AnkX. It starts the immobilization of a small, so called phosphocholine moiety, on some of the host cell’s proteins and, further along in the course of the infection, the bacteria sends out a new enzyme, called Lem3, to remove the small moiety. At present, it is unknown why there is an enzyme that then removes the moiety from the proteins of the host cells. ”What is so interesting with the chemistry of intracellular bacteria is how it is so different in comparison to our own cell’s chemistry.